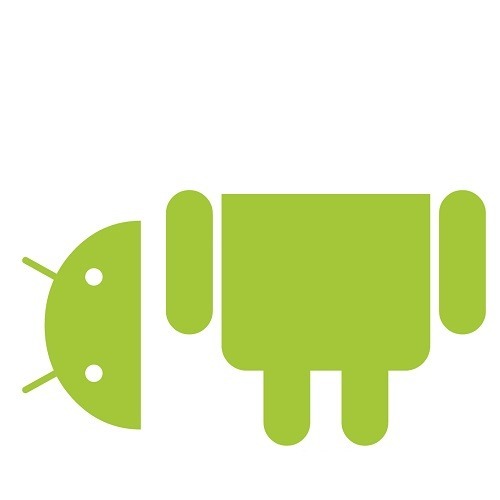 Much of Android's development is done out in the open, which is how several Android developers noticed that a recent commit to the Android Open Source Project master tree would break many of your favorite root apps. This is the result of a newly implemented security feature, rather than an active effort to lock things down on Google's part. Nevertheless, it could result in some inconvenience, so developer Chainfire has taken to his Google+ page to detail what will happen if the change is not reverted before the release of a future version of Android. Many apps extract files to directories located on the /data partition and execute them as root, but this recent commit prevents them from doing so. This is good, as it makes it more difficult for people with malicious intent to execute a script on the /data partition or take advantage of an exploit to achieve root. 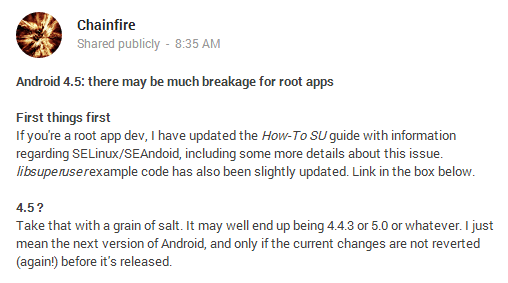 The issue, as Chainfire explains, is that this change will also break many root apps that you actually want to use. There is no one fix that circumvents this issue in all use cases, but there are several ways app developers can work around it. In any case, you may want to inform the developer of your favorite root app of this potential problem. They might just be grateful for the chance to preempt the negative feedback that would surely follow lost functionality.